A Quick case generates a Case header only. It cannot be used to prepare an estimate until it has the required data entered. When more information is available, it can be entered by running the Wizard from within the Case. Running the Wizard prompts for all the necessary information, while retaining the previously entered data. To create a Case using the Quick method, select Quick from the ribbon menu. Once the Case is created, enter as much information as is available and press Save. 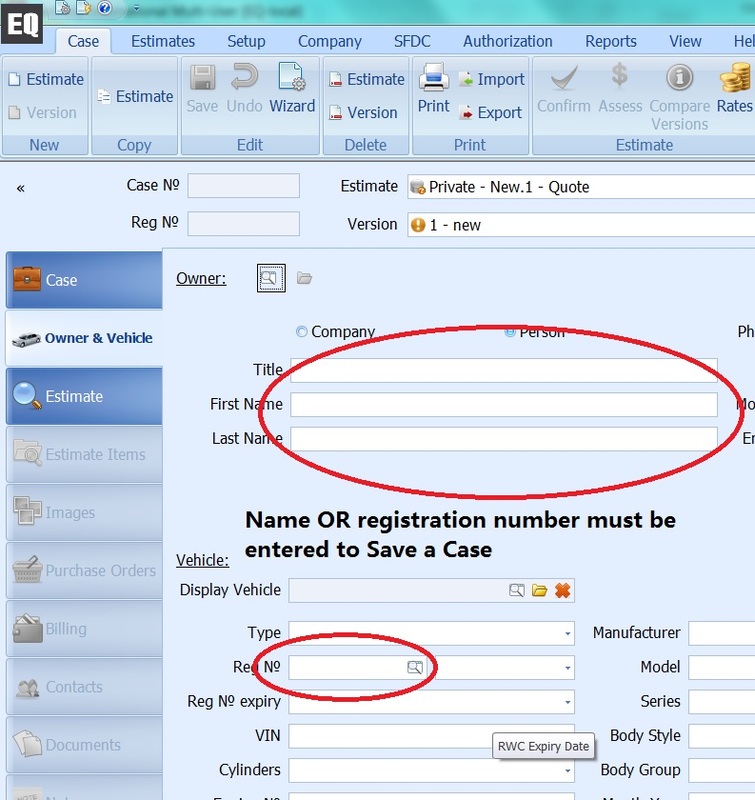 After creating the header, either Name OR Registration Number must be entered to Save the Case. When all the information is available and needs to be entered, select Wizard from the ribbon menu.